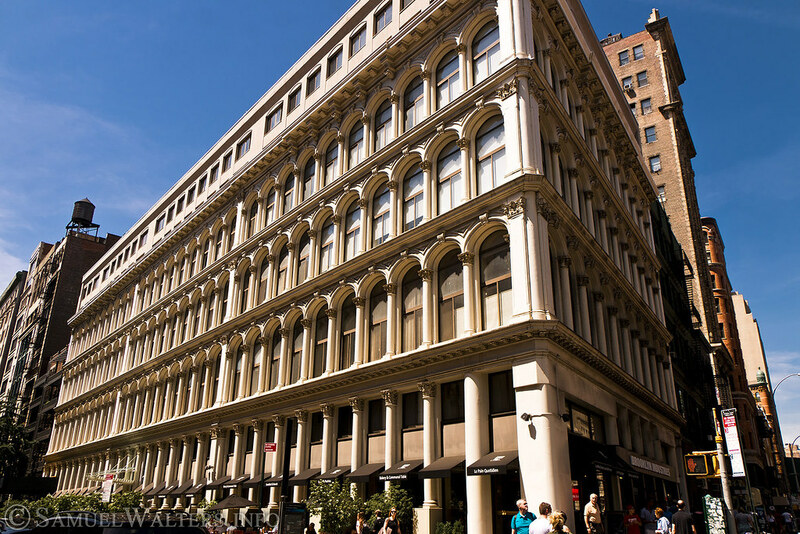 With its cast-iron building facades and trendy shopping and dining, SoHo is an iconic Manhattan neighborhood to visit. SoHo (which strand for South of Houston Street), resides between 6th Avenue and Lafayette Street (to the west and east) and Canal Street and Houston Street (to the south and north). Many of the buildings in this district have cast-iron facades - their columns and collonades lending a classic flair to the neighborhood. Inside these former warehouses there is a wide array of high-fashion stores and upscale dining. SoHo remains one of the must-visit neighborhoods in New York City.